Dr James Lee earned his medical degree at the National University of Singapore. He advanced his training in Obstetrics & Gynaecology in the United Kingdom. In 2004, he obtained his subspecialty training in urogynaecology and pelvic floor reconstructive surgery at the St George’s Medical School Hospital in London. Apart from treating general gynaecological problems like uterine fibroids, ovarian cysts and endometriosis, Dr Lee excels in managing women who suffer from disorders of the lower urinary tract and the pelvic floor. Besides urodynamic evaluation of the urogenital tract, pelvic reconstructive surgery and vaginal surgery, his other interests also include laparoscopic surgery, robot assisted pelvic surgery and vaginal laser therapy and surgery. 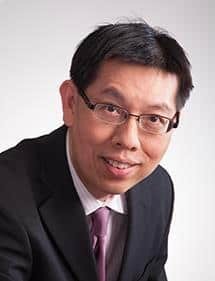 Prior to setting up his private practice, Dr Lee was consultant at the National University Hospital (NUH), where he took charge of the urogynaecological service in the Department of Obstetrics & Gynaecology between 2005 and 2010. At the NUH he was involved in the teaching of medical students and training of junior doctors and specialist trainees in areas of general obstetrics and gynaecology, and pelvic floor medicine and surgery. He received several Star Awards for his excellent patient care during his decade of service at the NUH. For busy working ladies, Dr James Lee is open through lunchtime and also sees patients in the evenings on Mondays at Bishan and Tuesdays at Punggol respectively.